After I reviewed the Kopis 2 SE, I thought that it will be very hard to find another damn-near perfect FPV drone. At first sight, the DTS GT200 quadcopter looks even better. Its design is almost perfect in every aspect. Excepting the silver motors, prop nuts and camera, all the other parts are black. It features solid carbon fiber frame with arms of 5mm thickness. 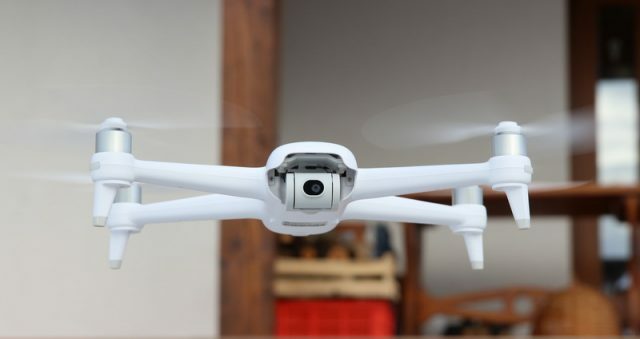 The GWY GT200 drone comes fully assembled and professionally tuned. Being sold as PNP package (no receiver, transmitter and battery), you will need to install and configure your own radio system. 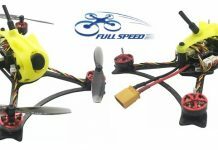 The manufacturer suggests to use a 4s/1500mAh LIPO with their DTS GT200 quad. 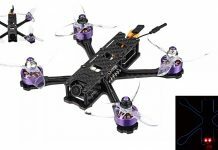 By default, the Omnibus F4 flight controller comes with BetaFlight firmware. Good to know that the micro USB configuration port is located on the left side of the drone (between CH and Band buttons). 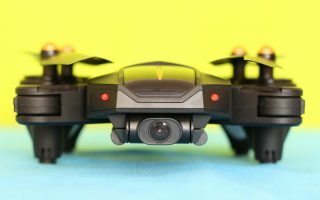 In front of the drone is located a RunCam Eagle 2 Pro FPV Camera with 2.1mm lens. The real-time image transmission is achieved by using a 48CH/5.8G VTX (A, B, E, FatShark, Race Band & Low Race). According to your needs, you can toggle the broadcast power between 25, 200 and 600mW. For more details check our recently published in-depth DTS GT200 review, it includes un-boxing and test flight video. 4S compatible balance battery Charger.